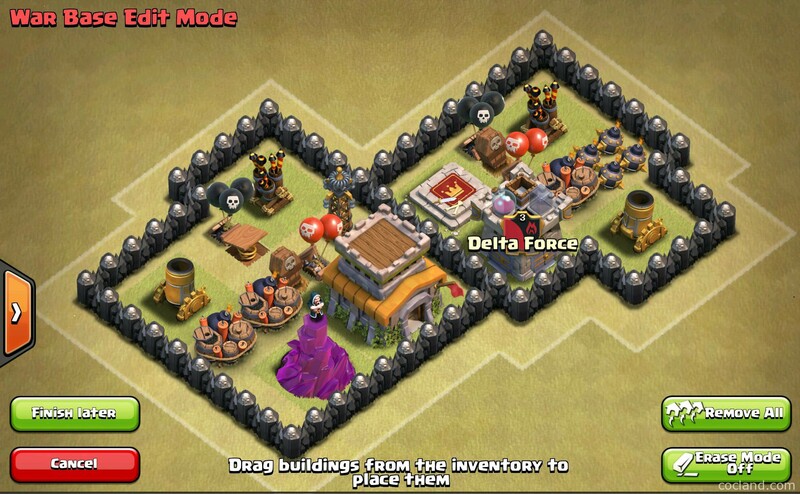 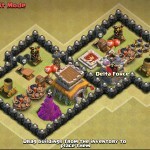 This The Fates anti-3 stars War base layout for Town Hall 8 is the third design of Eric87 with asymmetrical style and plenty of unique features. 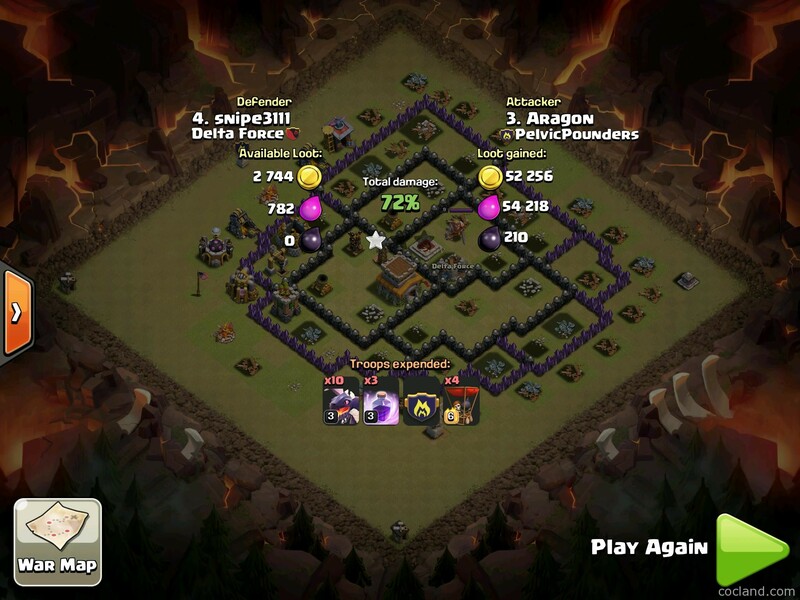 Like other asymmetrical layouts, the attackers can get 1-2 stars from this base easily but 3-stars win is totally different. 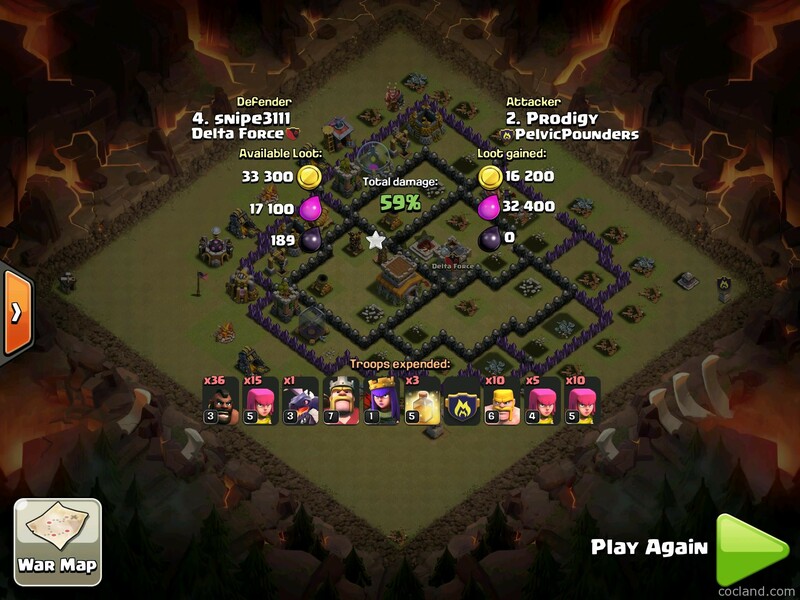 The only job of The Fates is preventing attackers from getting the last stars. 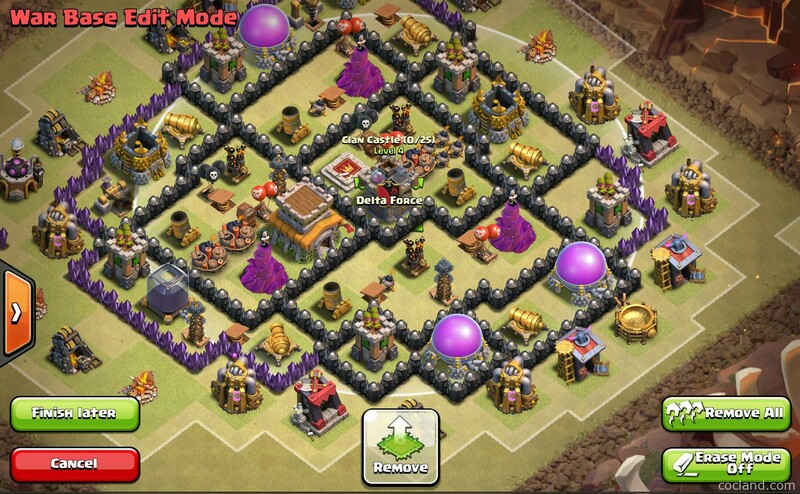 Let’s take a look and explore it! 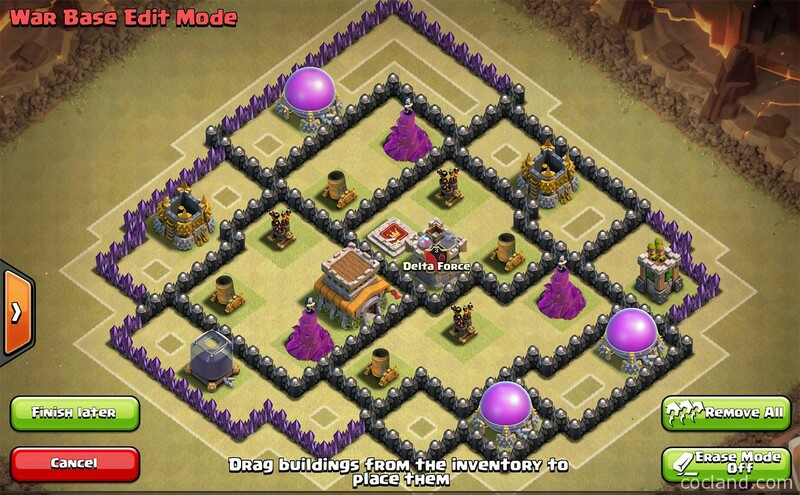 This base has different size compartments so the attackers will find it hard to choose a side to attack. 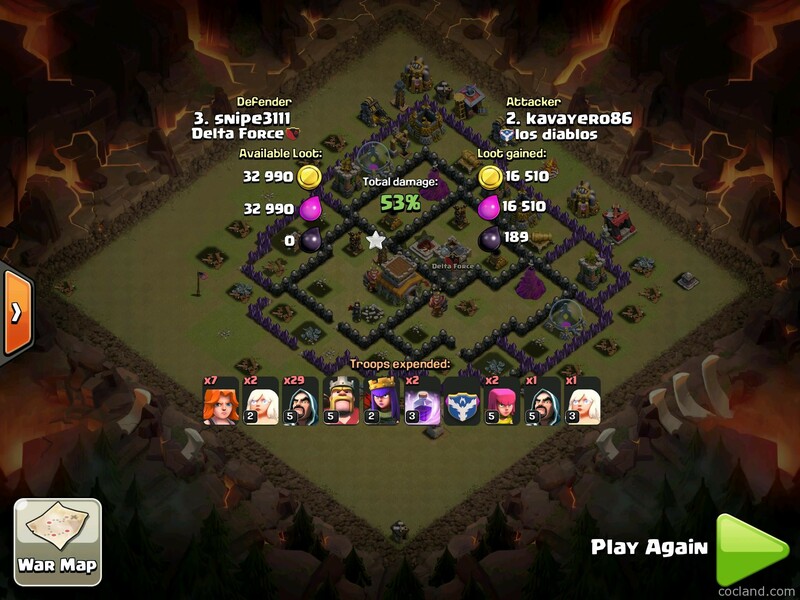 Double Giant Bomb is in the core so cannot be tested. 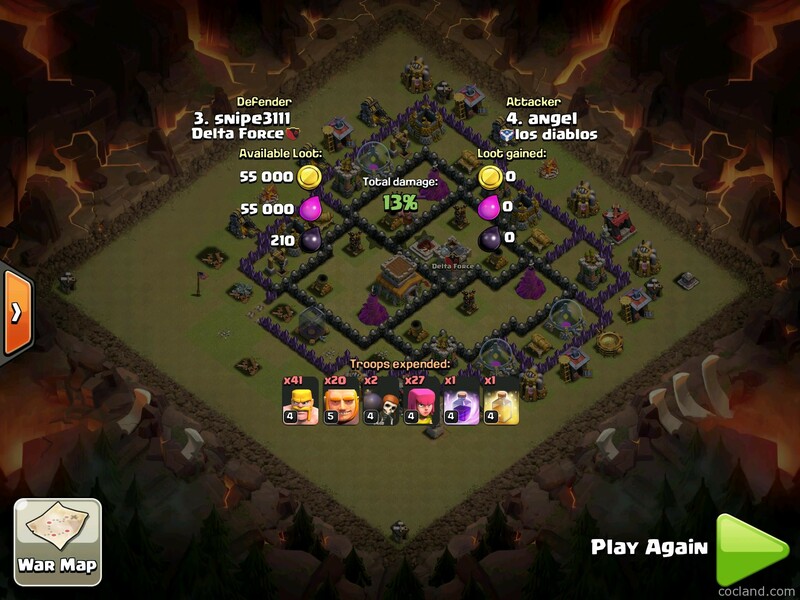 By the way, there are plenty of open 2×4 spaces for you to place DGB, the attacks can’t predict where is the real DGB. 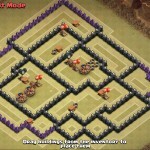 The Wizard Tower next to the Town Hall doesn’t protect the Air Defense so it will not be locked with the Lava Hound. 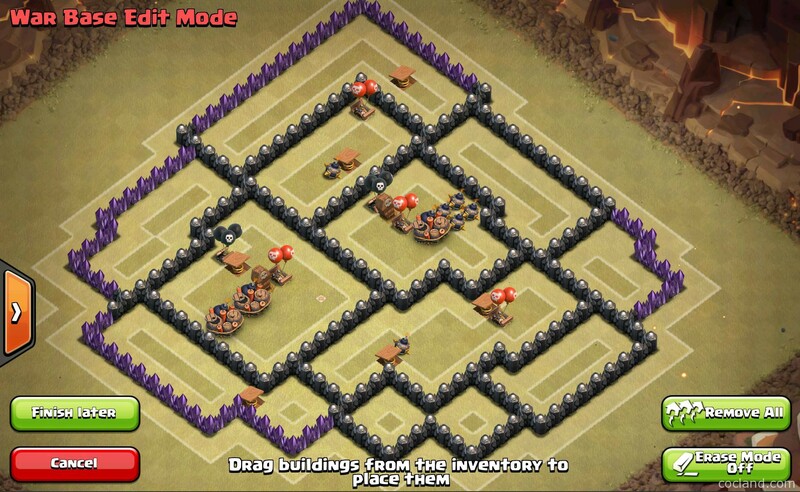 Builder huts at the corner are perfect at wasting the attacker’s time. 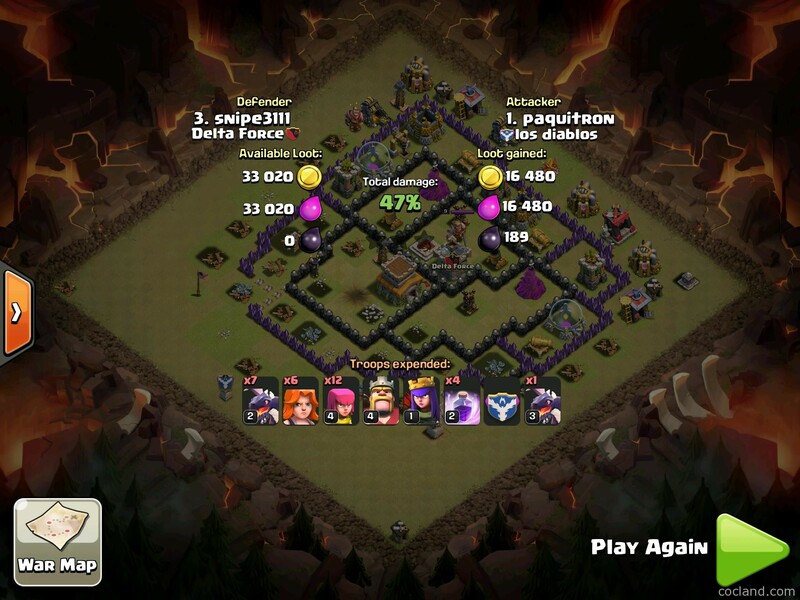 Sometimes the attackers can’t notice the builder hut at the button, it will be our big advantage. 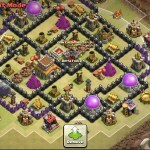 These defense logs tell you everything about this perfect Town Hall layout! 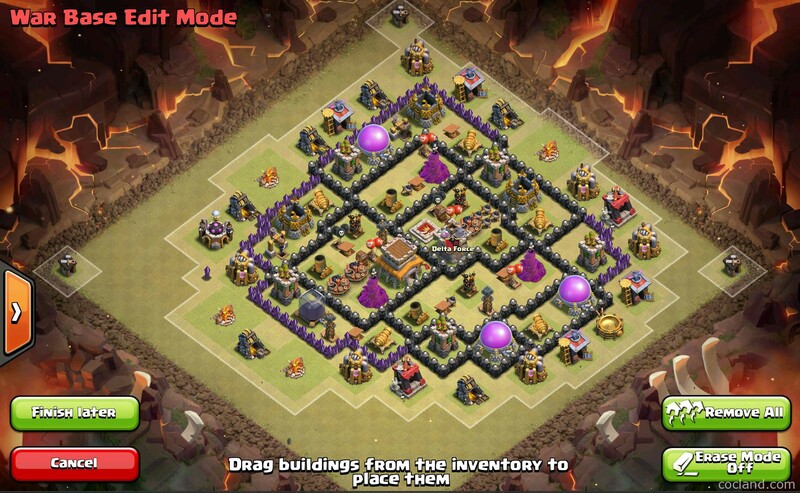 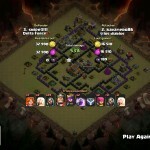 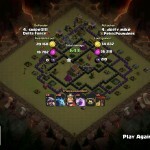 Try this Town Hall 8 anti-3 stars war base and you will never regret!